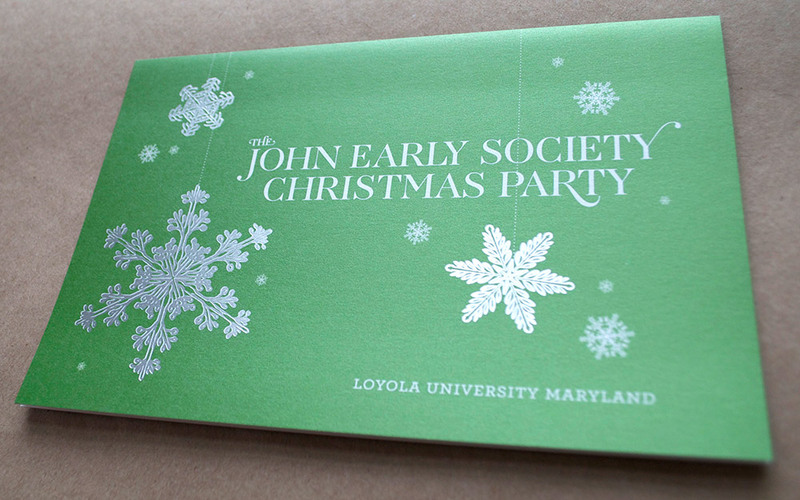 The John Early Society is Loyola’s leadership annual giving society for donors to the University. Each year, a Christmas celebration is held to thank donors for their contributions to and involvement with Loyola. 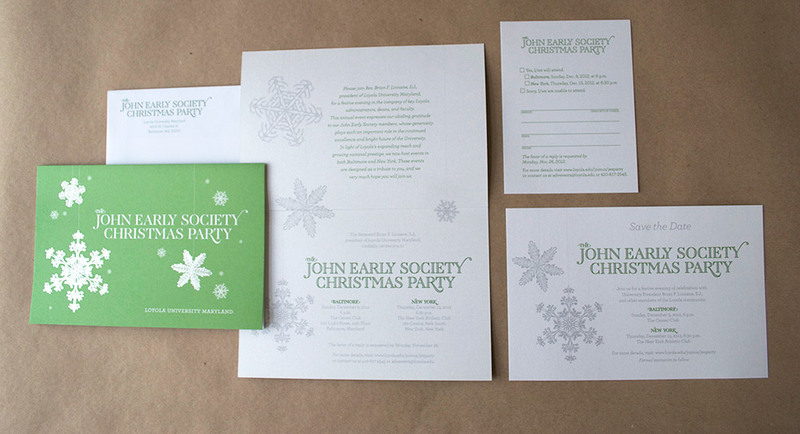 For the 2012 soirée, the event planner was seeking an invitation package that would evoke the elegance of the venue and the festivity of the season. 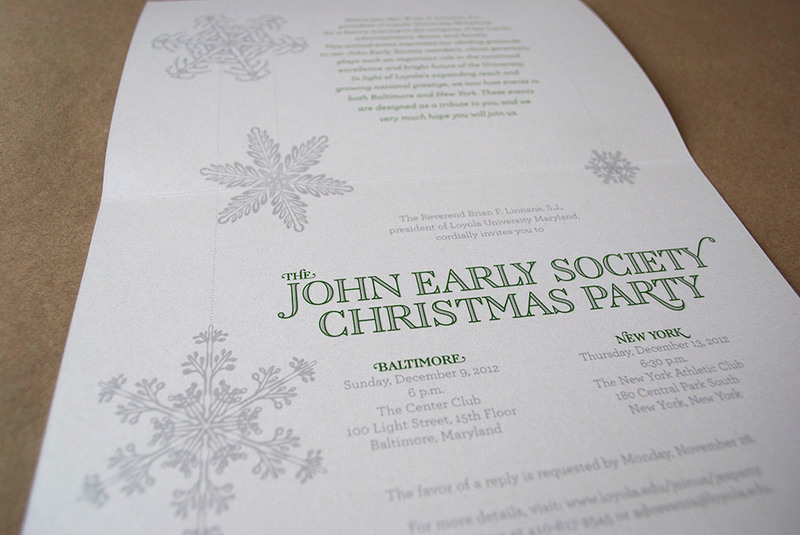 I chose a simple palate of green and silver (variations of Loyola's school colors - green and gray), and added depth with tactile details such as pearlized paper and silver foil snowflakes.